You almost need a scorecard and a pad of paper to keep it all figured out. In the wake of a terrible attack on his own citizens by Bashir Assad, Trump Press Secretary Sean Spicer has figured out whom to blame. Barack Obama. But just yesterday U.S. Ambassador to the United Nations Nikki Haley said that we were not going to focus on getting him out. 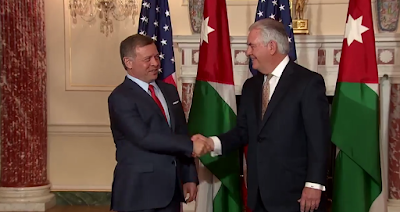 Her statements came just days after both she and Secretary of State Rex Tillerson stirred controversy when they said the U.S. was no longer trying to remove Assad from power and may work with him to help fight the Islamic State. The comments represented a sharp departure from the strategy of former President Barack Obama, whose administration for years worked to remove the Syrian dictator from power. Quite the mixed message. We will hold our nose and work with the guy. If any thing goes awry we can always blame it on Obama. 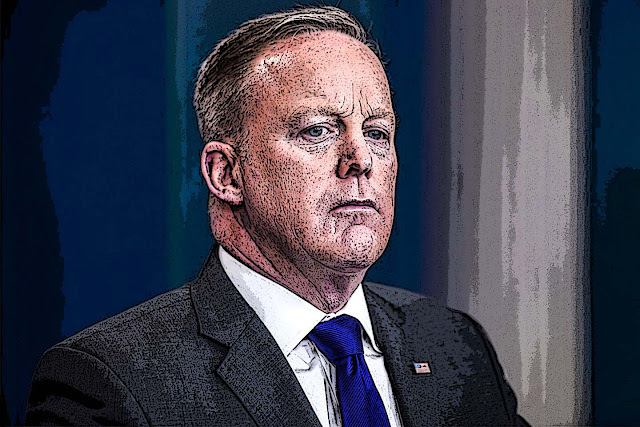 Spicer said that he saw no relationship between the gas attack and recent statements from Secretary of State Rex Tillerson and United Nations Ambassador Nikki Haley. And this all takes place a day after Rex Tillerson is filmed shaking hands with his new associate. Tillerson refused to take questions on the matter. Here is Rex from the other day, setting the table for the chemical attack. Guess somebody got the message.